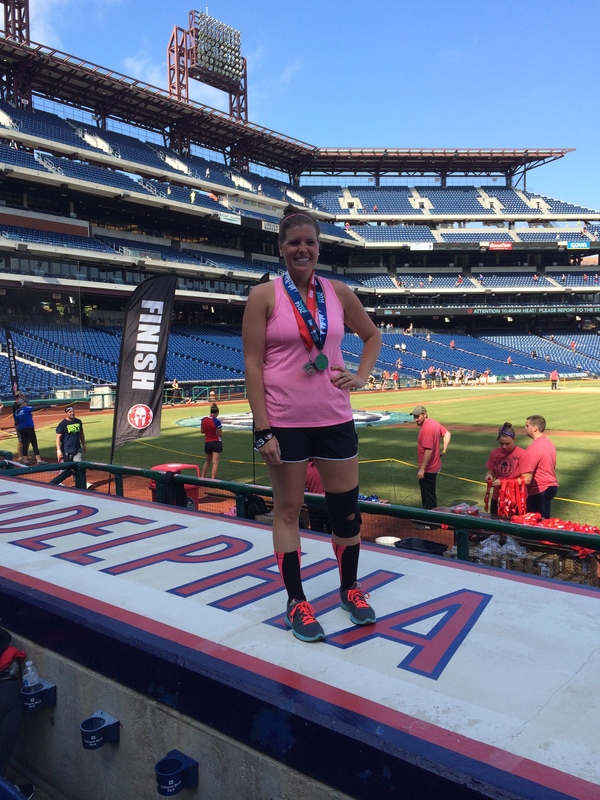 This past weekend we flew to Philadelphia, PA and completed the Spartan Sprint at Citizens Bank Park. This was Mandy’s first obstacle course race (OCR) and my second in what has become an almost obsession. Suffice to say the Spartan bug has bitten me and we have at least four more races scheduled in the next year. I’m crossing my fingers for more than that! For those that haven’t heard, Spartan is one of the major brands in the exploding market of adventure and obstacle course racing. Spartan features three distances (Sprint, Super, and Beast) that correspond to a 5K, 10K, and half marathon with between 15-25 obstacles thrown in. The founder, Joe De Sena, is an ultramarathoner/multi-day adventure racer/all-around freak of nature and wrote a book called Spartan Up which I would highly recommend even for those who don’t run his races. The book outlines his philosophy on fitness as well as the history of the Spartan brand. One of his key beliefs is taking life head on and learning to deal with the unexpected frustrations of daily living. In fact, his motto is “Get comfortable being uncomfortable” and Spartan races embrace this fully. Unlike some of the other OCRs, no two Spartan Races are ever the same and the course is never released until you arrive on race day. For that reason, participants have to be prepared for anything. A lot of the obstacles are mainstays such as the dreaded Spear Throw or Rope Climb, but they have been known to sprinkle in some crazy stuff just to mess with seasoned runners. Joe also firmly believes that the burpee is the perfect exercise so anyone that skips or fails an obstacle is hit with a 30 burpee penalty. Don’t expect to leave a Spartan without doing at least a few even if it’s just for fun! 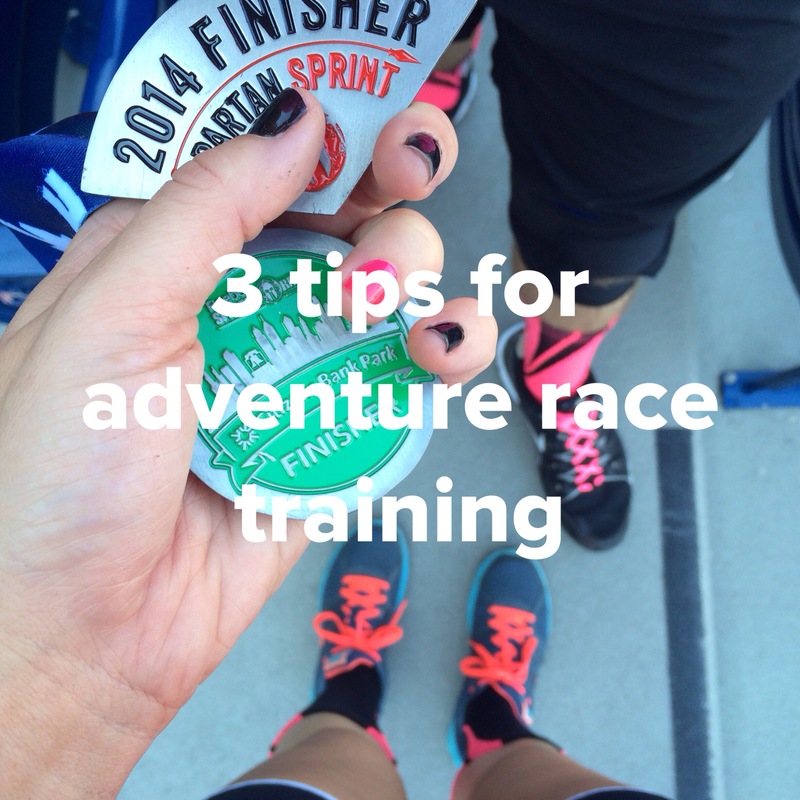 Below are three things that we did to get ready to tackle the unknown course that awaited us in Philly. Running – At the core, these are races. Whether you are doing a Sprint or a Beast and whether it is in a stadium or the woods, you will be running the vast majority of the time. While the race is different from a standard road race, getting out and pounding the pavement is essential. Before I ran my first Sprint – which is usually between 3 and 5 miles – I planned to be able to run at least 6 miles without a problem. You would be very surprised how much energy even the smallest obstacle can take from you. Also, breaking up your rhythm to complete the obstacles along the way creates added difficulty. Pull-ups – Most of the classic Spartan obstacles involve some form of climbing. Most races have multiple wall climbs in varying heights. The classic high school gym rope climb gets a muddy makeover, but the climbing is no different. They also like things such as cargo nets or monkey bars. The ability to lift your body weight will be tested often and in a bunch of different ways. Obviously strength training of any type will be very beneficial, but if I had to pinpoint one workout it would be pull-ups. You don’t have to be able to do 100 at once, but practicing pull-ups will definitely help. If you can’t do them, use the assisted machine at the gym or try Walk the Planks. Burpees – As much as I wanted to cross the finish line and be able to claim a burpee-free race (aka no failed obstacles), it hasn’t happened yet. In fact in the race in Philly, the Atlas Carry involved moving a large rock, doing 5 burpees for fun, and moving the rock back. It’s pretty safe to say that you will be doing at least a few no matter how great you perform. Joe De Sena starts every day with 300 burpees and for the couple of weeks leading up to the race, I incorporate them into my workouts every day. Finally, in addition to the three things outlined above, you can prepare yourself mentally as much as possible. Go to YouTube and watch the myriad of GoPro course videos, how-to obstacle guides, and workouts from elite racers. Use websites like DirtyMiles to research past courses and prepare for the obstacles that you might see. Go to playgrounds and use the equipment you can find to get whatever experience you can on obstacles. Above all though, get ready to have an awesome time! Even if you fail every obstacle on the course, there is a huge team mentality among the racers and you can expect to find a helping hand when you need one. Good luck training! Spartan up and I’ll see you at the finish line to celebrate with our free beers! This entry was posted in Health and tagged adventure race, fitness, health, spartan race, training. Bookmark the permalink.